Ready to implement new techniques during your courses? Take the PADI Drift Diver Specialty Instructor course to update all your tricks. The PADI Drift Diver Specialty Instructor course does so much more than just certify you to teach the PADI Drift Diver Specialty. You’ll gain lots of experience as an instructor by continuing to teach fun and interesting specialties. On top of that, teaching students about drift diving will make you a much better diver. The relaxing yet exhilarating feeling of flying underwater is something to be shared with new divers. 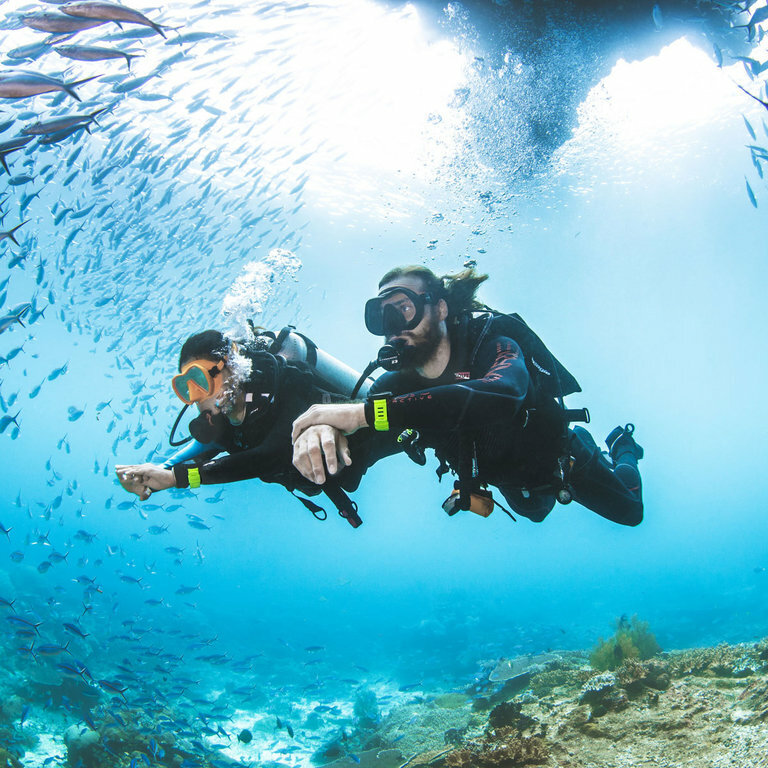 This PADI Instructor Specialty certification consists of teaching you new and updated techniques to deliver a great class to your students. While there are many tangible skills you will pick up to teach, this course also includes some details on how to appropriately market the specialty to divers. During this drift diver course, you’ll be shown how to introduce drift diving equipment, including floats, lines, and reels to students. You’ll also teach a variety of drift diving techniques, an overview of the aquatic currents that make this kind of diving possible, and updated communication tactics. PADI Open Water Scuba Instructors are able to take this course. Some OWSI/IDC candidates may participate in this training, but can only apply for their certification after passing an IE. Instructors looking to take this course must have logged some drift dives, and a minimum of 10 dives must be completed as course exit requirement.